Would you be able to look to see if there is any reference to the 152nd Field Coy. of the Royal Engineers, April 1918, and what medical units/service corps were attached to them ? The book is about the Army Service Corps I'm afraid, not the Royal Engineers. I hadn't tried that, mainly because I didn't know that file existed. I've just had a look on PROCAT and can now see what a useful file it is. I shall make a beeline for it next time I'm at the PRO. Many thanks for pointing it out. I have been browsing the forum looking for anything to do with the 99th Siege Battery RGA, and came across your post and the reply from Jock, April 2003 (a long time ago!) Jock mentions a WO95/5494 and reference to the WO95's did you ever do any further research at the NRO? I have been researching the family history and have a grandfather who was the Battery Sergeant Major of the 99th Siege Battery RGA, unfortunately he was wounded by schrapnel from a gas shell and died on the 28th June 1918. He was buried in the Aires cemetery and the action I believe was to do with Merville. His History was that he was with the 81st Siege Battery in India when WW1 began, the 81st and sister battery the 59th were shipped home eventually Joining the theatre of War in March/April 1915. Around about September 1915, 15 NCO's from the Artillery Brigade (He may have been one of them) were sent home to train men for the "New Armies." I have been told that the the 99th was reformed and trained in Edinburgh region, and that is the last until his death. Before the war started the 99th was on Garrison Duties at Malta. Can you help at all with the missing spaces between September 1915 and the end of the war in 1918? Could Any tell me any information on the ASC in East Africa any information would be most helpful as im trying to find out any information on the great grandfather. The book contains four or five quite descriptive pages about the ASC/Retreat from Mons, with some personal accounts of what they were facing. If you wish, let me know off list and I'll scan and send them. They were formed 19/1/15, and would seem to have been at home until at least July - the Battalion War Diary entry is WO95/950, which may shed some light on their movements. The entry in the book seems a bit ambiguous as it gives under 'Theatre' a combination of Western Front and 13th Division, which would seem to be incompatible, although all this was after your chap's death anyway. I have just discovered my Gt grandfather was in the ASC. On his discharge document his unit is given as 23 V R Park . (or it could be Y R Park)? His regt is RASC mt. His regt. Number is M/345336. He joined on 15th October 1917 age 41. and served in France until 14th June 1919 as a motor driver. 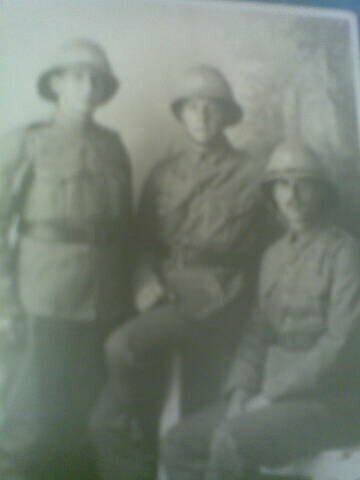 Could you give me any clues as to where or with which Battalion?/ etc he might have served. Does 23 VR Park refer to a Division? Is VR Park a vehicle Park? your help would be much appreciated, thanks, Bridget. I wonder if you can help me. I have recently been able to buy a substantial number of postcards about the ASC when they were based in Wells, Somerset during the war. One of the companies quoted on the picture is 134 Company Motor Transport. Do you have anything about this company at all? Or indeed about anything related to the ASC in Wells during the war. Can you recommend any good books on the ASC? I am trying to trace any details of my grandad - am having trouble to be honest. His name was francis harold halliday and he was from the portishead, bristol area. I have found a medal card for a francis h halliday who was a corporal with the ASC. The medal card says the following ASC/101B99. Can you give me any information on what this means or what this regiement was doing in the war? I only ask as I see from Martyn's message above that they were based in Wells somerset which is obviously in the right area for my grandad.